Who says the dining room is dead?! Having a proper, defined and designed dining space in your home can be an amazing addition, but only if you do it right. Here’s how! 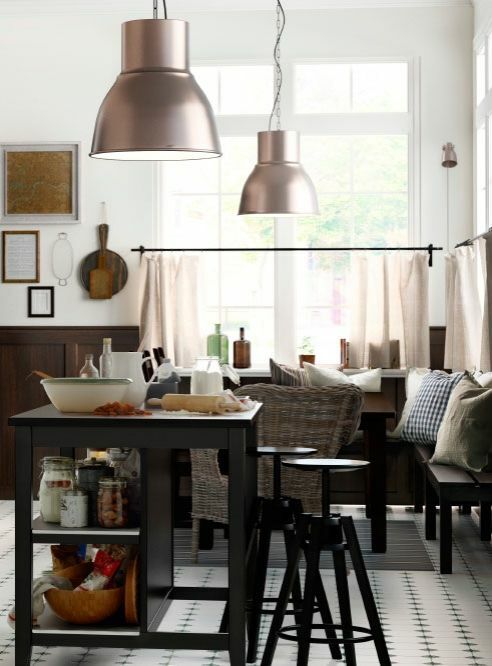 In a lot of ways, the whole concept of a dining room in any sense is fairly traditional. Nowadays, most homes combine kitchen and dining area, or else simply eat in the lounge with their food on their knees. However, proper dining rooms can be a fantastic asset to a home, giving a family a special area just for dining together and chatting over food. Eating together is a big part of being in a group, and while having a dedicated room for it might seem a little old-fashioned, it can be a great thing. However, just because the concept of a dining room isn’t a new one, doesn’t mean your design has to be stuffy or dated. Take a leaf out of Scandinavian design and getting minimising! Get rid of all those knick-knacks, get rid of that useless nest of stools, when was the last time anyone looked at that globe? Minimise down, and you’ll have a blank canvas ready to turn into the perfect modern dining space. Ideally, in terms of furniture, all you really want in a dining room is a dining set. Fortunately, there’s plenty of modern dining sets UK to be had, and it’s easy to find the right furniture for your perfect dining space. When it comes to choosing the right furniture, all you need to do is put plenty of thought into it. Collect images and do plenty of searching and looking at all the different furniture in fashion. There’s so many options out there now that there’s no excuse for not putting your own unique stamp on the design of a room. Why does everyone always think it has to either be comfort or style? Why not both!? You can always go for a super edgy, futuristic glass and chrome table, accompanied by comfortable, cushioned leather chairs. You can have the majority of the room be modern and stylish, and then have a couple of comfortable, warm additions, designed to contrast and welcome. Three things allow you to truly make the most of a space. Calm, neutral colours, mirrors and quality lighting. Combine those three, and you’re going to have a room that seems massively bigger, more open and more stylish than previously. Quality lighting isn’t hard to implement, just play around with different options, lamps, bulbs and fittings. Mirrors are always going to look fantastic, and you could try giving the room a more traditional edge by going for a fancier frame, maybe in a plain, neutral colour. If you’re really against pure, pastel paint for the walls, maybe consider going for a single feature wall with some complimentary statement wallpaper.